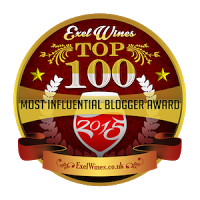 The five wines selected for this post are all from South Africa. The region has a diverse landscape with a wide range of growing conditions, allowing for a good mix of cool and warm climate grape varieties. From indigenous varieties like Pinotage and regional staples such as Chenin Blanc, to welcome surprises like Gewürztraminer, there is something to suit just about every palate preference when it comes to South African wine. Many of the region's wines offer good value and will suit your pocket preferences, too. For further information and where you can find these wines, please see my tasting notes below. Ken Forrester 2013 FMC (SRP $65): South Africa has the most Chenin Blanc plantings in the world and Ken Forrester crafts several nice examples. In fact, their vineyards are often referred to as the “Home of Chenin Blanc.” FMC is their flagship bottling produced from low-yielding old bush vines planted in 1974. It is a mouth-filling and generous wine that exhibits a rich mixture of sweet melon and ripe stone fruit flavors merged with citrus peel, honey, and notes of spice. The texture has an unctuous quality to it which is balanced and lifted by a fresh, zesty acidity that drives through the long, satisfying finish. This is a [very] delicious solitary sipper that can also stand up to more substantive foods such as scallops in cream sauce, lobster with garlic butter, or risotto dishes. Region: Stellenbosch, South Africa. Other info: ABV 14%, wild yeast fermentation in new French oak 400L barrels, maturation on lees, total of 12 months in barrel, screw cap enclosure. Click here to find this wine. Paul Cluver 2014 Gewürztraminer (SRP $16.99): Grown in the cool-climate Elgin Valley; situated just south-east of Cape Town, South Africa, this wine is fresh and beautifully aromatic. Estate plantings of Gewürztraminer date back to 1987 and the Culver family has owned the property since 1896. The cool 2014 vintage resulted in a sleek and streamlined wine that’s unmistakably Gewürztraminer – though you won’t see much coming out of South Africa (at least on US store shelves). This wine is clean and precise, with bright aromas and flavors of rose petals, lychee fruit, stone fruit and lemongrass. There’s a hint of sweetness that’s nicely balanced by crisp acidity. Enjoy this delightful wine with moderately spicy ethnic cuisine; particularly Chinese or Thai fare. Region: Elgin Valley, Western Cape, South Africa. Other info: ABV 12.6%, 2,950 cases produced, screw cap enclosure. Click here to find this wine. 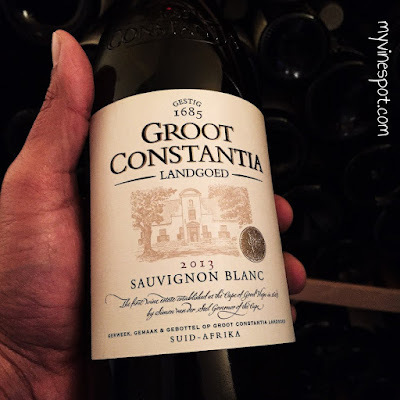 Groot Constantia 2013 Sauvignon Blanc (SRP $18): Steeped in history, Groot Constantia was founded in 1685 and is South Africa's oldest wine farm. 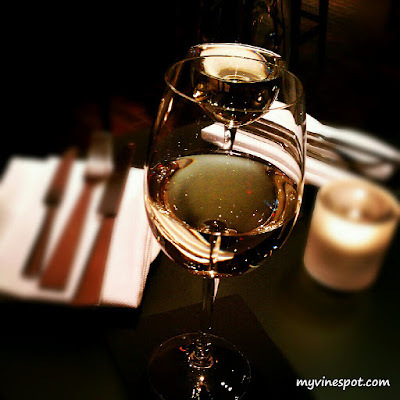 Sauvignon Blanc is the second most widely planted white wine grape variety in the region. This example is all about texture and freshness. On the palate, flavors of vibrant citrus fruit, chopped herb, kiwi, flint, and a whisper of green pepper combine to deliver a racy wine with pronounced mouth-feel and a medium-long, crisp finish. This wine is a great match for grilled white fish, shellfish, and other light dishes. I enjoyed a glass with pan-seared sea scallops. Region: Constantia, Western Cape, South Africa. Other info: ABV 13.5%, all stainless, aged sur lie for three months, cork enclosure. Click here to find this wine. Creation Wines 2013 Pinot Noir (SRP $30): This is a delicious, well-crafted Pinot Noir from the Hemel-en-Aarde Valley in the Cape South Coast region of South Africa. The area’s cooler climate produced a supple and expressive wine, chock full of ripe black cherries, dried cranberries, and brown spices, with a kiss of sweet oak and vanilla bean, backed by a wisp of minerality. It is fuller-bodied and nicely textured in the mouth, and there’s a refreshing kick of acidity from start to finish. Overall, this is a charming, harmonious wine that’s meant to be served at the dinner table. Grilled rack of lamb comes to mind first, but I totally agree with the producer’s recommended pairing of grilled tuna. Region: Hemel-en-Aarde Valley, Walker Bay, South Africa. Other info: ABV 14.3%, 12 months barrel again – 25% new, 75% 2nd & 3rd fill, cork enclosure. Click here to find this wine. Lammershoek Winery LAM 2013 Pinotage (SRP $15.99): Rightly or wrongly, most people I know tend to have a love-hate relationship with Pinotage (a red grape unique to South Africa that’s a cross between Pinot Noir and Cinsault). I don’t have an issue with the variety myself, but I understand why it has such a dubious reputation. I always tell people who have a less than favorable experience, that if you don’t succeed with the first bottle, try, try again, because there are some nice examples out there. 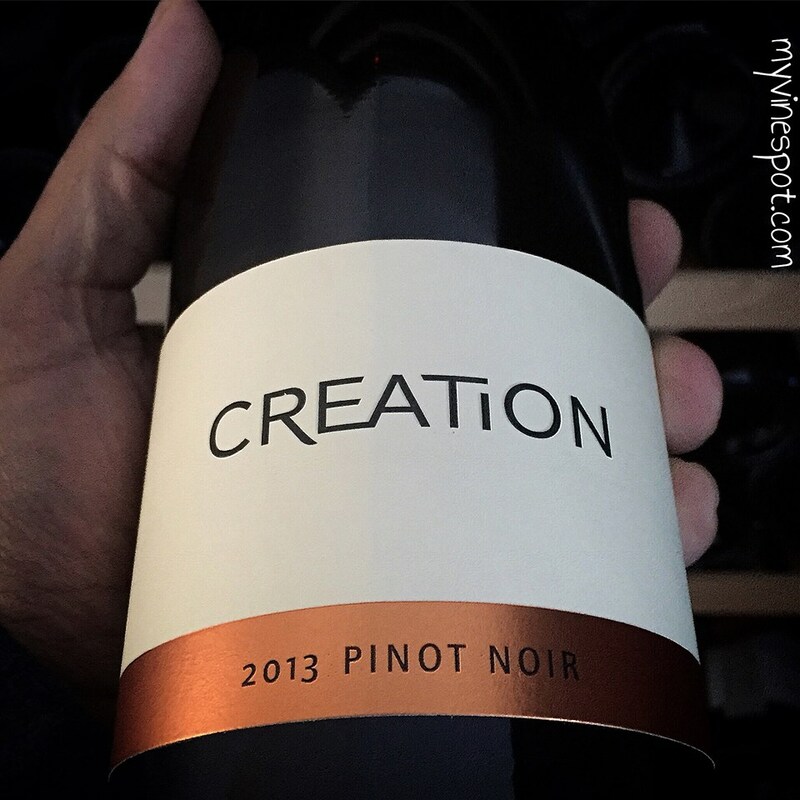 This sustainably farmed, 100% Pinotage is defined by delicacy: in color, aroma, and flavor. It is lean and very streamlined, with tart cherry and raspberry flavors, followed by a smidgen of cigar box and smoke, finishing with a refreshing pop of acidity. It can be served slightly chilled (around 55°F), particularly in the warmer months. 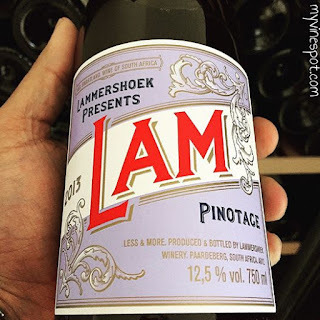 Overall, this is a somewhat atypical but welcomed example of Pinotage that will partner nicely with tomato-based pasta dishes, gourmet burgers, or pizza. Region: Swartland, South Africa. Other info: ABV 12.5%, certified sustainable, agglomerated cork enclosure. Click here to find this wine. To learn more about the wines of South Africa, I highly recommend the Wines of South Africa website. Follow them on Twitter at @WOSA_USA.